As we all know, the winter months can leave you with dry patchy skin so I thought I would share with you how I manage and maintain soft smooth skin all year round. Dry air can leave your skin parched because it is stripping your skin of moisture so you have to create a moisture barrier to protect your skin from the harsh cold. Moisturising is very very important more-so in winter especially on your hands, lips and face as these areas are very sensitive and very often exposed to the cold. 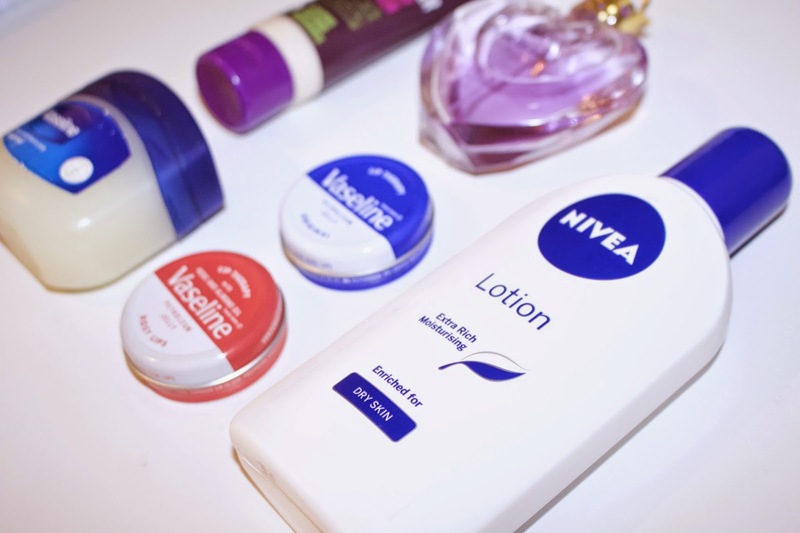 Although I have what is considered to be normal skin, I always use products that are labelled ‘for dry skin’ because I feel that they are more moisturing and better at locking in moisture and maintaining soft smooth skin in harsh conditions. Even from when I was a baby, I have always used Vaseline. It is an amazing inexpensive moisturiser. I also recommend the Nivea Lotion Enriched for Dry Skin body moisturiser. I always apply the Nivea Lotion all over my body straight after taking a shower whilst my skin is still damp to lock in moisture. 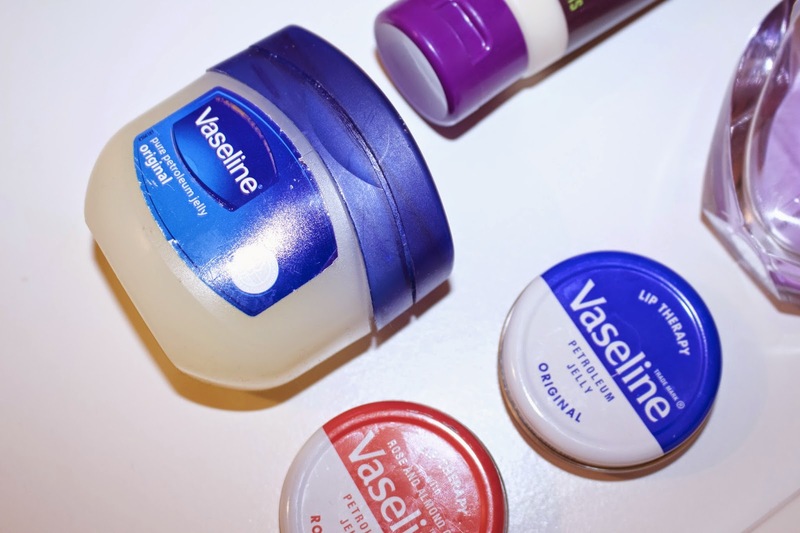 I use the Vaseline (any petroleum jelly will do) for my stubborn areas that tend to get dry such as my elbows, knees, hands and legs. I use these two all year round and although they can be a little thick and greasy for summer time, I still find myself reaching for them. If you have ever had dry chapped lips then you know how painful and unattractive they can be. I have so many lip products but I never go a day without The Vaseline Lip Therapy Balms. There is nothing more I can say other than they are the best lip protection there is. 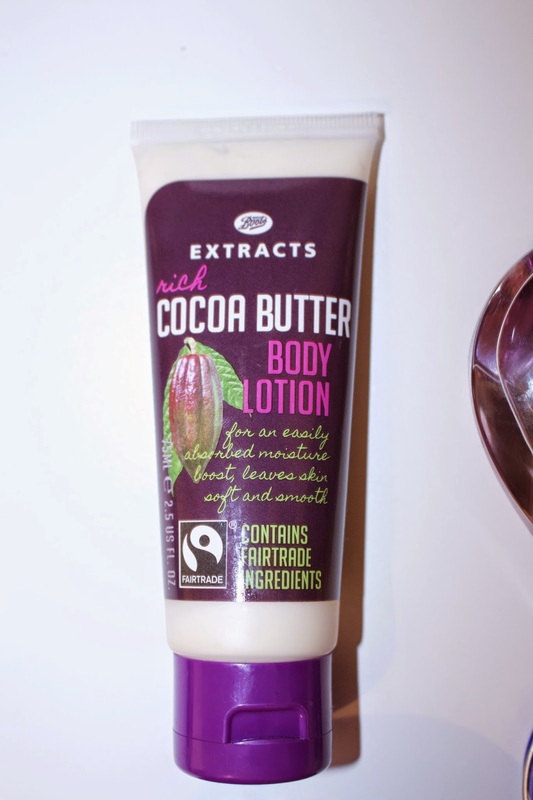 I pretty much use the same products as for my body but I was gifted this Boots Cocoa Butter Body Lotion for Christmas which I am currently using as my on-the-go hand cream. It smells great, very moisturising and is small enough for my make up bag. And last but certainly not least, drink lots and lots of water, I can not say this enough!! We lose water everyday through perspiration, urine and other bodily functions and this loss of water can leave your skin dry if you do not consume enough water. Drinking lots of water is essential for maintaining skin moisture and increasing skin elasticity which results in silky smooth hydrated skin. You don’t have to spend a fortune to have soft smooth skin, this works for me and has always worked for me. I hope some of you find this helpful and I will talk to you in my next post.